Datsun is introducing an exciting mix of products and breakthrough concepts at the Delhi Auto Expo 2016. 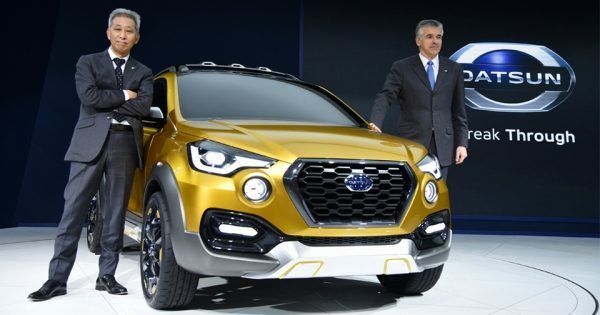 One of the standout displays is a new Datsun GO-cross Concept exhibited for the first time in India. vision for a potential Datsun GO/GO+ family expansion in high-growth markets. The brand is displaying enhanced versions of Datsun GO & Datsun GO+, equipped with variety of accessories meeting the expectations of customers who want to personalize their cars. All these accessories are available at Datsun dealerships in India. Also on display is Datsun GO+ with an all-new blue exterior colour and with a fresh, classy dual-tone interior, further enhancing the car’s appeal. The Datsun pavilion brought alive its 80-year heritage by showcasing the legendary Datsun Bluebird 1600 SSS (510) rally car. The Super Sport Sedan successfully raced in the US and brought motorsport glory to the brand in the early 1970s. It shares space on the stand with the Datsun GO-Rally show car created by a passionate group of Japanese engineers and designers. 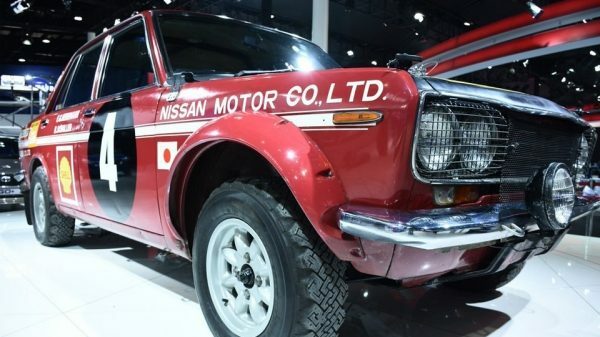 This car takes its inspiration from Datsun’s storied history in motorsports from years past to show what a modern version of a rally car could be. Datsun is showcasing its rich tradition at DAE, displaying vehicles which express its commitment to providing solutions for young up-and-coming strivers to help them achieve their dreams. The Datsun GO+ Smart features two gaming consoles in the rear of the popular MPV as entertainment options for children. The Datsun GO+ is already known for offering space and comfort to families; the Smart version further strengthens the versatility provided by the MPV in the sub-4 meter category. The Datsun display at the show is part of a new brand campaign called #ISayYes which was launched recently to reach out and engage with the youth of India. The campaign aims to build a stronger connection with young, ambitious and aspirational Indians by inspiring them to come forward and share their dreams with the world — and Datsun is ready to support. ＃ISayYes features a series of planned social activations and innovative storytelling to draw fresh eyes to Datsun.